Cabbage Soup Diet : Is it safe? The cabbage soup diet comes in a variety of names. This is also called the cabbage soup heart diet, Mayo Clinic Diet and many other names. This diet made a name for itself as it claimed to drop our weight by as much as 10 pounds in a matter of 7 days. If you are someone who is overweight and in danger of different cardiovascular conditions, you need to make sure that you use this type of diet. There are several advantages to losing weight fast. One you will easily get motivated by losing a great amount of weight in a very short period of time. Secondly, there are diets out there that really don’t give you results. The same goes for the pills and some nutritional drinks that claim to take away some excess fat in your body. For the cabbage soup diet, it is known as an effective alternative to expensive supplements. The downside when it comes with the cabbage soup diet is that it is not the type of meal that you use for a very long period of time. This gives you a short term result and what you need to do is to make sure that you integrate protein rich meals right after your cabbage soup diet for a week. This is a great thing for you to use if you are looking for a fast start on your weight loss. You need to understand that you should make sure to blend exercises with any known diet out there. 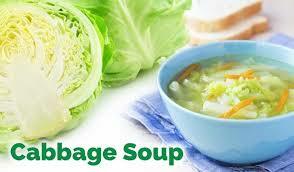 Unlike crash dieting, cabbage soup diet still provides you with minimal calories. The only thing that you need to fight is the craving for sweets and many other unhealthy foods. These things will only make your body struggle to lose. If you are trying to make the cabbage soup tastier, you have the freedom to add a little bit of spice into the recipe. You could tweak the ingredients but remember that you should not be putting MSG or any additional salt in your diet. Salt will help your body to retain fluid. Water retention is one of the many reasons why people have difficulty losing weight. Once you are done with the cabbage soup diet, you need to make sure that you return to a diet that is rich in protein. But you need to remember that you will also need to exercise. Exercise and proper diet can give you the best long term weight loss result. What you should remember is that there is also a timing to how you use the protein rich meals and supplements. You need to incorporate a protein rich meal after your workouts in order to increase muscle mass and to develop muscles that would increase your metabolic rate. You have to remember that the best weight loss practice is to exercise and to perform diets that are healthy. Though the cabbage soup works fast and effective, this is a short term diet that you need to consider. If you are looking for fast results, this should be your initial step.